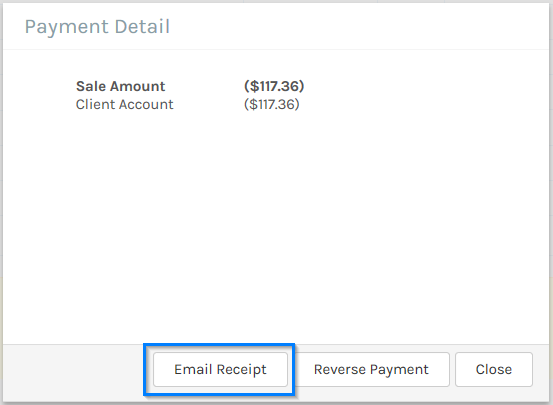 If you need to email a receipt for a previous sale it is very easy. 1. Click on the Sales button from the side menu. 2. 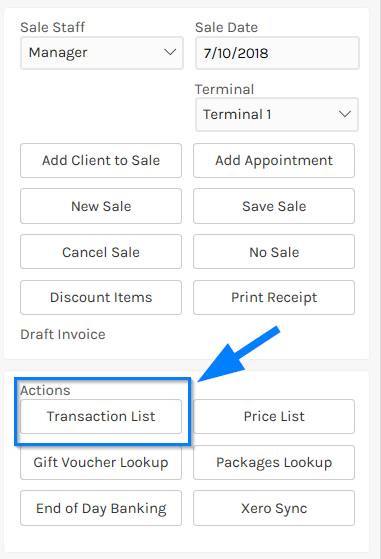 Click on the Transaction List button from the right-hand side options. 3. Locate the sale you want to reprint the receipt for and click it. 4. 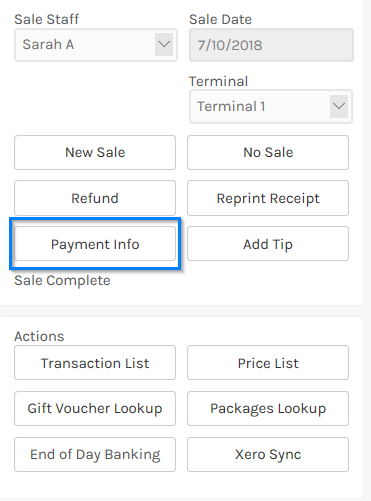 When the sale is brought up click on the Payment Info button from the right-hand side options to bring up the payment popup. 5. On the popup screen click the Email Receipt button. 6. An email popup will appear. 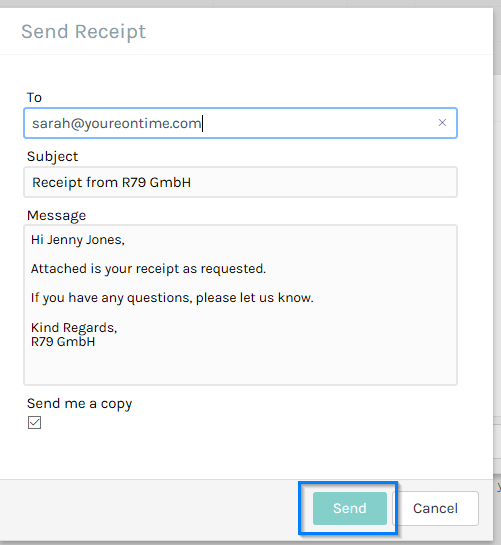 If the client already has an email address on record it will be prepopulated otherwise enter one and change the default message if required and click the Send button.